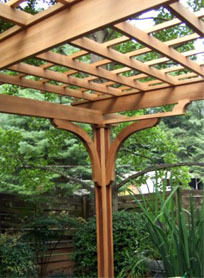 A request from a client to protect a koi pond from sun resulted in this four-tiered structure. Because the pond was already in place, we had to span 18 feet with the main beams. This was done using a combination of "T" beams, lamination and a unique bracket. 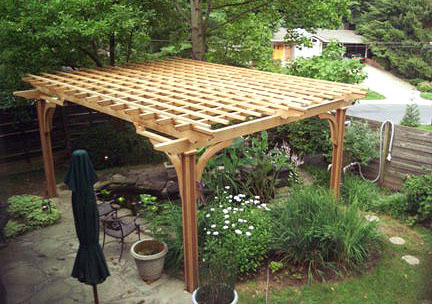 An intermediate level was introduced to facilitate the span and also add more shade, resulting in a four-tiered structure.